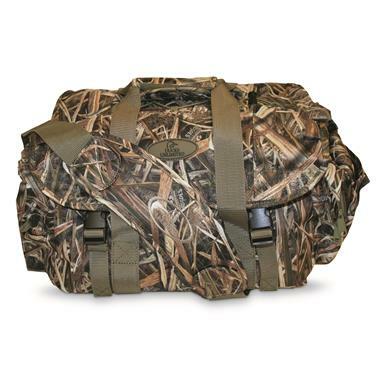 Comfortably haul your hunting gear! The Ducks Unlimited Magnum Floating Blind Bag features a large main compartment, with plenty of other pockets for secure organization. 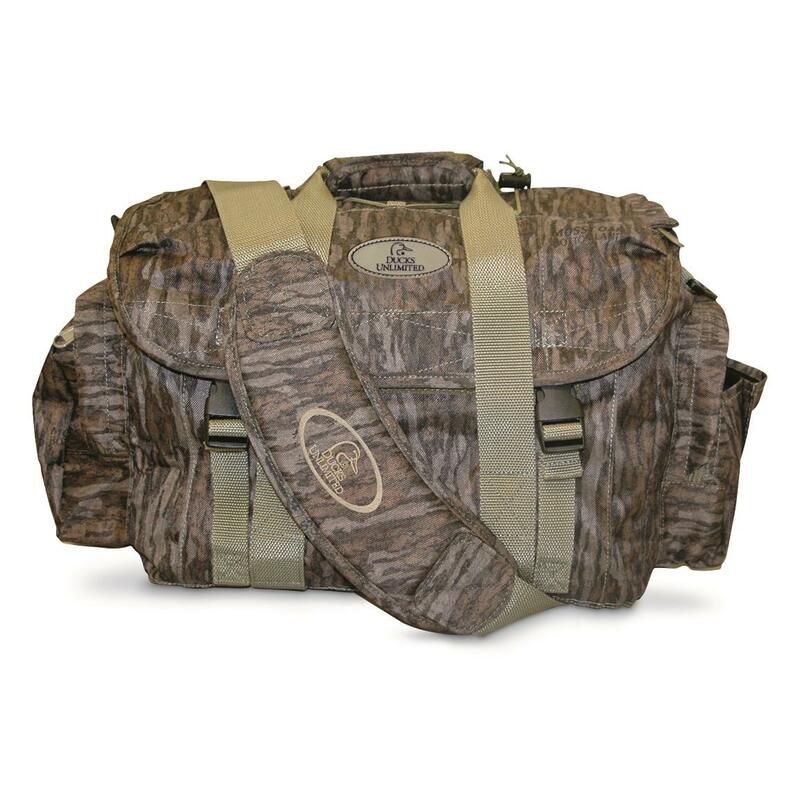 It's constructed with a water-resistant shell and closed-cell foam lining that keeps your gear dry, safe and above water. Great for duck blinds, boats and more! Dimensions: 23"w. x 11"d. x 13"h.